Ryan J. Nelson, D.O. is an associate of the Michigan Institute of Urology, P.C. 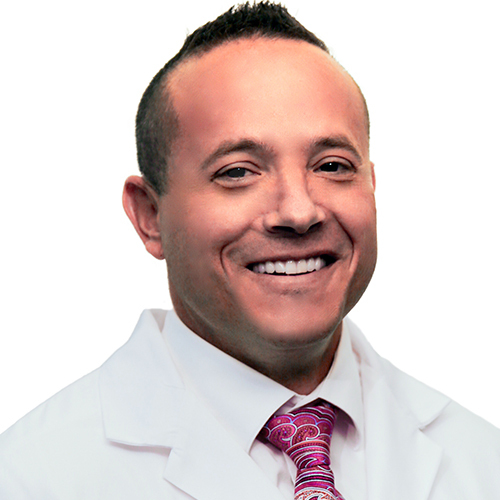 He specializes in minimally invasive robotic and laparoscopic surgery, including single incision, robotic reconstructive surgery, and Urologic Oncology (Cancer). Dr. Nelson is Board Certified by the American Osteopathic Board of Surgery. He sees patients at the Sterling Heights, Macomb (Romeo Plank and Hall Road), and Rochester Hills (Boulevard Shoppes) offices. Dr. Nelson received a Bachelor of Science degree from Andrews University in Berrien Springs, Michigan. He received his Doctor of Osteopathic Medicine degree from Touro School of Osteopathic Medicine in Vallejo, California. Dr. Nelson completed his surgical residency at Michigan State – St. John Macomb/Oakland Hospital and his urologic residency at Michigan State – McLaren Macomb Hospital in 2015. He also completed a two-year Urologic Robotic and Minimally Invasive Fellowship at the Cleveland Clinic, which allowed a foundation, second to none, for his advancement in robotic surgery. Dr. Nelson’s Hospital affiliations include William Beaumont Hospital (Royal Oak and Troy campuses), St. John Macomb/Oakland Hospital, and Henry Ford Macomb Hospital. Dr. Nelson serves as a member of the Endourological Society, Society of Robotic Surgery, EAU Robotic Urology Section (ERUS), and the American Urological Association (AUA). He is a lead member of the urological cancer tumor board at Beaumont Hospital-Troy campus. Dr. Nelson has published numerous papers on the management of urologic tumors, robotic partial nephrectomy, and robotic cystectomy (removal of the bladder). He has published book chapters, including video articles demonstrating techniques in robotic radical prostatectomy, robotic partial nephrectomy, and robotic cystectomy with creation of a neobladder (new bladder) or urinary diversion. Dr. Nelson also specializes in difficult robotic cases such as creating new bladders, robotic reconstruction of ureters, and nephron sparing surgery for complex kidney tumors. Dr. Nelson enjoys spending time with his family, outdoor adventure sports, food cuisine, and carpentry.